My art is based on human forms, which express the dynamics of the soul and powerful energy of the creative mind.My sculptures resonate love and compassion for humanity, the power of the Nature and the energy of Spiritual presence. In the last 30 Years, I have been involved in many public art projects both individually or with a team. In addition my art has been shown in Exhibitions,Galleries, Museums,Art Forums and numerous Private Collecttions all over the World. Titanic: Member of the Oscar winning Crew for Best Visual Effects. Member of the Oscar winning Crew for Best Visual Effects for the movie Titanic. My art has been shown in Exhibitions, Galleries, Museums, Art forums and numerous Private Collections all over the World. Art forums in Europe: Bazel Art in Switzerland, Frankfurt Art Fair in Germany, Gent LineArt, International Art Fair-20th century, Biennale Internacionale Dell' Arte Contemporanea - Florence, Italy. CNN global news covering the honoration of the Sculptures as it was given to the Bethene-Cookman College President, Dr. Oswald P. Bronson - Daytona Beach, Florida. Interviews in various newspapers, magazines, radio and TV, BBC - Bulgarian section, Voice of America. - Greeting letter from the President for my 55-th birth day. 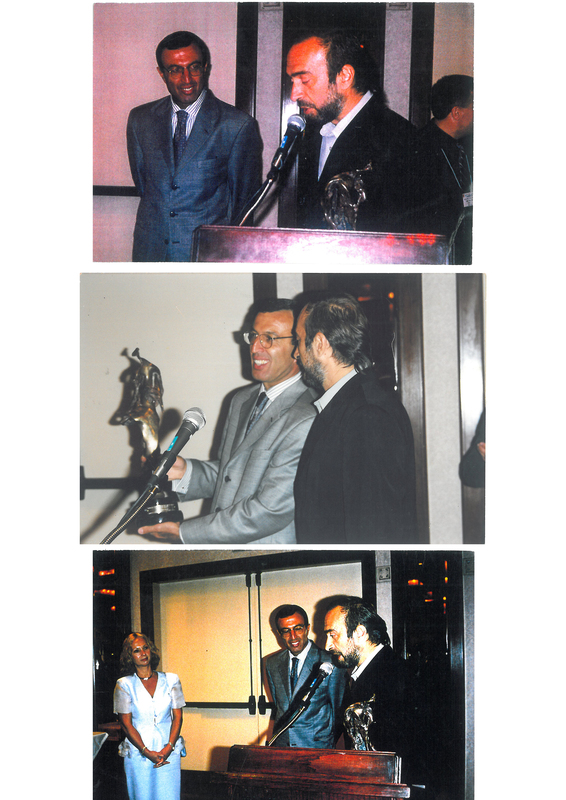 - The President recieve Statue Award - Los Angeles, CA. 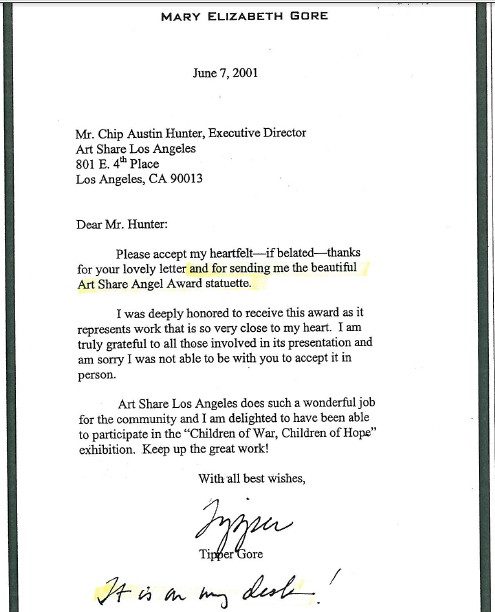 - Thank you letter for my statue - Angel Award.